It has been so hard to keep this secret from all of you. We’re in tomorrow’s Washington Post. The Food Section. O. M. G. It just went online now. Yes, that’s me, and that’s Kim, and we’re in my kitchen making bacon. And pancetta. And pasta. Bonnie Benwick has written a great piece and we’re just over the moon. Click here to see more photos and the recipe I cooked up. With or without peas. Okay, so that’s totally amazing, right? You’d think that would be enough. But there’s more. A lot more. Oh, yes, there’s even more great news. You know how we told you Kate Hill and Camont had offered an incredible grand prize for the Charcutepalooza? Well, we’ve made that prize even more tantalizing. Meet Trufflepig. (I know! How could we NOT work with them?) This travel group is the brainchild of some very connected people. People who know how to cook up an adventure. 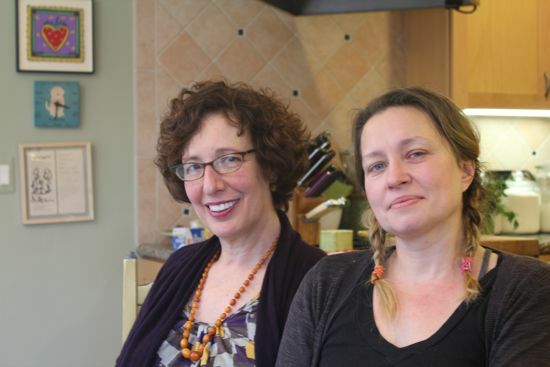 And they’ve agreed to make the already amazing grand prize at Kate Hill’s Camont even better. The winner will spend eight days in France. You’ll be wined and dined in Paris (with a special surprise dinner companion,) taken on personally guided tours of the markets, introduced to fromagieres, truffle sellers. There’s a hotel room in Paris. There’s train travel to and from Kate Hill’s Camont. Five days of butchery and charcuterie school at Camont, meeting butchers, farmers and other Gascon natives. And eating well. You just know you’ll eat well. Oh, and lodging, too. Did we mention your rooms are paid for? We love Trufflepig. 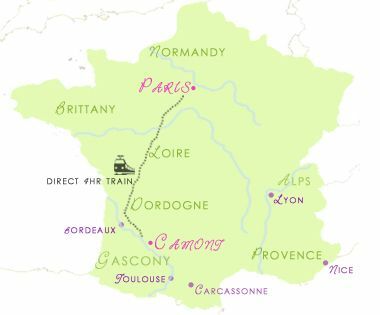 Train back to Paris, where you’ll have an evening on your own, then, an early morning tour of the market at Rungis, an afternoon of leisure and then a big wonderful cocktail party to celebrate. The Bloggapalooza Jambon and Wine Fete, hosted by Trufflepig and Kate Hill, will introduce the Charcutepalooza winner to the Parisian blogging community. Fly back full of good food, drink and memories the next day. More lovely details are here. In order to qualify for the grand prize, you must blog all twelve of the Charcutepalooza challenges. Qualifying blog entries must be posted on the 15th of the month, with the exception of the duck prosciutto post, which may be posted any time during the year. Kim and Cathy will review the posts from qualifying bloggers on December 15th. We will whittle down the group to the best 24 posts. We’ll be looking for exceptional writing, astonishing photography, and delicious recipes. We are honored (okay, verklempt) to announce the panel of judges who will be whittling down the 24 posts to the best two. 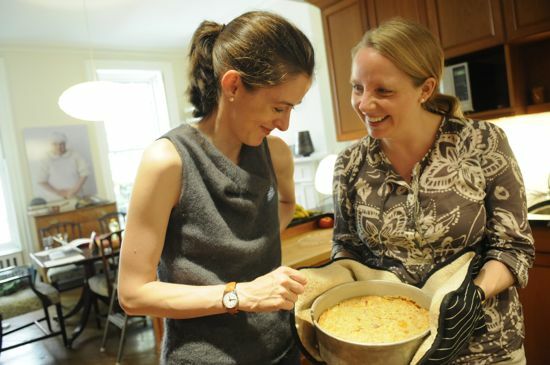 Ariane Daguin, Owner, D’Artagnan, was born into a world of great food. Her father, André Daguin, is famous throughout France for his artistry with foie gras and other Gascon specialties. By the age of ten, Ariane was expert at deboning ducks, rendering duck fat, preparing terrines and cooking the game birds her grandfather. Charcuterie has always been a way of life for her. In 1985, when Ariane founded D’Artagnan, it was the only purveyor of foie gras and game in the U.S. Ariane was a pioneer in the farm-to-table movement, dedicated to procuring the best from small farms that support humane and sustainable farming practices and never use antibiotics or hormones. Today, D’Artagnan is the leading purveyor of organic poultry, game, foie gras, charcuterie, pâtés, sausages, smoked delicacies, and wild mushrooms in the nation, supplying the world’s top restaurants, hotels and retailers, as well as consumers online at www.dartagnan.com. Ariane is the founding president of Les Nouvelles Mères Cuisinières, recipient of the James Beard Foundation “Who’s Who of Food and Beverage in America Award”, and the Lifetime Achievement Award from Bon Appetit. Bob (Robert M.) del Grosso has spent the better part of the last three decades as a professional cook and teacher who, he hopes, taught his students how to cook while encouraging them understand cooking and eating in the broadest context imaginable. He has taught the full culinary curriculum at the The New York Restaurant School on 34th St. (Now the Art Institute on Varrick St.) and Gastronomy and Food Science (Advanced Culinary Principles) at The Culinary Institute of America. He continues to teach through his intentionally Kafkaesque-titled blog A Hunger Artist and in classes at Hendricks Farms and Dairy, a small meat and dairy farm where he has spent the last four years transforming farm animals into retail cuts and Charcuterie. 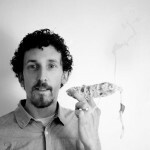 Matt Wright is a graphic artist who shares a passion for food photography and producing home made charcuterie. A self taught food photographer, who cooks, styles and shoots everything you see on his blog Wrightfood. He keeps his food photography clean and simple – focusing on the food, showcasing seasonal dish ingredients with minimalist, modern styling. 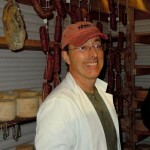 He started making charcuterie at home 3 years ago with a piece of bresaola hanging in a cage in his garage. Matt specializes in slow aged dry cured whole muscles and salami. Traditional techniques paired with locally sourced meats which are contrasted with modern flavors to produce unique salumi. Matt loves a gin & tonic along with good humor, especially the numerous sausage jokes that seem to come his way these days. 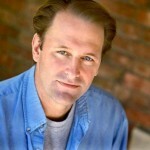 Michael Ruhlman is a Cleveland based food blogger, cook, writer, and journalist who wishes to translate the chef’s craft for every kitchen. 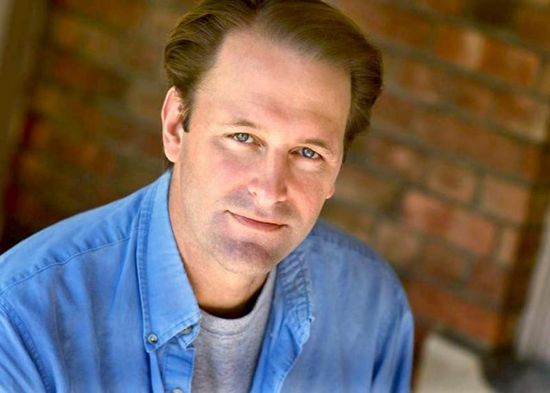 Ruhlman found out that the best things in life happen when you get carried away. He went into a cooking school to write about what it means to be a chef, and instead he became a cook, got a job line cooking, lucked into one of the great restaurants of the world to work with the chef on his book, and Ruhlman kept on writing about food. “I got carried away, and it’s made all the difference.” Ruhlman’s main goal is to get people into the kitchen to cook, to try new things, learn, and have fun. The kitchen to some is a challenging place, but it should not be. With the right techniques, books, equipment, and attitude anyone can cook like a pro in their kitchen. 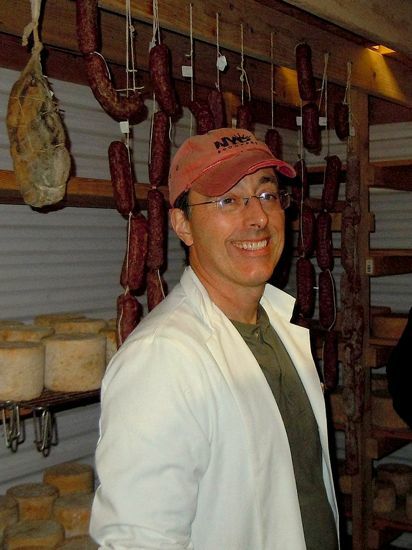 Ruhlman also wrote our guide for Charcutepalooza – Charcuterie: The Craft of Salting, Smoking and Curing–a thinly veiled love song to the pig, to animal fat and salt, sausages, confits, pates, terrines–with his friend, the Michigan chef Brian Polcyn. 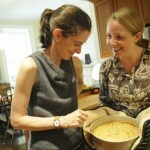 Currently the two of them are working on the followup book to Charcuterie – Salume. Finally, you, the Charcutepaloozers – we’ll ask you to choose between the two, and vote for the very best blog post of the Charcutepalooza year. And that lucky blogger will win a meaty time in Gascogne and Paris. I’ll be back to talk about the March Challenge on February 15th. Kim’s up next – Monday – with a round up of the best of the duck prosciutto blog posts. We’ve had a great time reading each and every one, thank you all for playing along. We’re having a blast. Pure love. How exciting for us all, readers and eaters alike. I have so many questions that I’d love to ask other participants. Is there a place we can set up a forum? We’ve been thinking about that, too. There is a very vibrant conversation almost around the clock on Twitter. Just check out the #charcutepalooza hashtag. And stick around. We’re not done surprising you yet. Totally awesome – what an incredible turn of events! Ladies – I can’t believe you kept all this to yourself! CONGRATS! You guys are rock stars – no Indy Rock Stars — of meat! Why am I just finding you this month? Darn it, I want to make bacon with you too. This all sounds like soooo much fun. I seriously hope you do more things like this in the future – once my kids are in school I am totally joining in here. This sounds crazy exciting. Congrats you two….. and to say that I remember the very first #charcutepalooza tweet. You are so right. Kim’s been hogging it all (har-har.) Next time we get together, I’m asking for a sample. Holy cow, this is the big time. Congrats!!!! It made me so happy for you and Kim (and lastnightsdinner too) to see this piece today! Hugely exciting. Cathy I am just thrilled for you guys! THRILLED! This is great! So thrilled for you!! Your creativity is boundless. Kudos to both of you! bigger than big! an amazing feat you two have accomplished and I am so thrilled to be able to be a part of it. what a wonderful experience for everyone. thank you so much for sharing with us all! This is all incredible. So elated to be a part of it, and I am over the moon about the mention in the Wasington Post. You and Kim are doing such a great job, and what a fabulous community you have created out of whole cloth! You have ignited a passion sorely missed, you have created a haven for some to forget their troubles be it financial or professional or personal, for some to re-connect with passions their parents had, in a time when the world and its people needs something to focus on that is affordable for everyone; And it is different…different is always good. You deserve all the credit and I speak from the heart when I say I don’t know why I am doing this except that is a challenge and when i look at my lonely beast in a room so cold the dog won’t enter: I am on fire. Wow! Who woulda thunk it? I just love how good food can bring people together like nothing else. Congrats! I feel honored to be a part of it. Congratulations! This is so exciting and I am so honored to be part of this group. I look forward to every month’s challenge, not just for what I’ll do myself but also for having the opportunity to see what so many others are doing. You have ignited a spark that may soon see charcuterie elevated to a loftier position in many, many households! A group of Central Texas College Hospitality Management students and their friends in Naples, Italy had the experience of a lifetime this weekend when they were involved in the purchase, butchering and processing of an entire farm fresh pig. The group, led by Adjunct Professor Tim O’Connell processed the entire animal, producing a vast array of recipes, all while strictly following HACCP (Hazard Analysis Critical Control Points). In addition to learning a great deal about culinary techniques, the group came away with a large quantity of delicious pork products to share with their family and friends. The event started at 0800 on Saturday when Professor O’Connell when to the local butcher to pick up the pig, a beast of 100 kg (220lbs). He transported it to the workplace where he was met by 8 awed students. Culinary Specialist Second Class Jose Castillo remarked the he had no idea what the group was facing until the pig was lugged onto the table. Once everything was unloaded and set up, Culinary Specialist Second Class Joshua Jenkins, a Master Certified Food Executive started the day with a briefing of the potential food hazards and measures necessary to prevent them. The group then donned their gloves, took out their knives and started cutting under the direction of Culinary Specialist First Class Dustin Saville, who had worked with pigs while growing up in rural Ohio. Every member of the group was joyously up to their elbows in skin, fat and flesh. A few of the members, who had never seen meat other than in a supermarket package where initially hesitant, but dove right in to the action. As usable parts of the pig were produced, the were passed to Professor O’Connell who was ready with his mise en place. Bacon, ears and guanciale (cheeks) were salted for curing. Ribs and hocks were brined for smoking and all the extra bits and pieces were thrown into a large pot of boiling water to make head cheese. Professor O’Connell also made up a traditional Southern Italian pig butchering breakfast of brains, eggs and onions for all to try. Chief Boswain Mate Teresa Dickson and Chief Hospitalman Sherman Fitzgibbon were initially quite apprehensive of the dish but both were amazed at the wonderful taste. The recipes and techniques used were found in Michael Ruhlman and Brian Polcyn’s magnificent book “Charcuterie”. This book, which describes the craft of curing, salting and smoking, was invaluable for the weekend’s efforts. Each art was tried and the results were spectacular. Once the pig was broken down completely, the most involved effort, sausage making, began. All hands dove into the effort. Although completely explained in the book, sausage making is a task with many steps that must be experienced to be completely understood. The best part, however, was the tasting. After each batch is prepared, a small sample is cooked for a test. Once the sample was tasted, everyone knew we were on the right track. Day two was when the real cooking was done. Professor O’Connell worked diligently on the most complex dish of the weekend, a pate with a tenderloin inlay. Everyone stayed out of is way while he worked like a mad scientist, but provided ingredients when called for. The sample was encouraging and the double recipe went into the oven. Senior Chief Culinary Specialist Devon Knight led the way to satisfy the crew. While they toiled away making another 50 lbs of sausage, Senior Chief Knight worked his magic making a fantastic Sunday lunch. Curry, braised shanks, rice and vegetables, along with some special local wine, provided a very welcome reward for the hard work done by all. Upon looking through the refrigerators, we found a very large quantity of fat and skin remaining. The decision was made to render the fat to make lard. The fortunate byproduct of this process is a substance called cracklings. It is quite possible the collective cholesterol level can be numbered in the thousands, but you have not lived until you have eaten fresh cracklings with a heavy dash of salt. Congrats, so exciting!!! I’m so inspired to be participating in Charcutepalooza…so I’ve sent a Stylish Blogger Award your way via my blog. Congrats and thanks for the inspiration! Nice pictures? Good writing? Timely posting? I’m doomed. :o) Kudos to you two for putting this together and congrats on the article. Well deserved. The amount of time, energy and passion is inspiring. I’m sure there is and was lots of behind the scenes leg work to make it come together. Saw this article in the Post and have had my little scrap of paper sitting here to look you all up since. Coincidentally, I received this Charcuterie book for xmas and have been riveted in the read and freaked out about getting started with this this new adventure in curing. Now that I have you all to follow in this journey, I feel like maybe I can do it. Can’t wait to read more about this great idea- “charcutepalooza”. Congratulations and thank you for putting Charcutepalooza together. It’s going to be a briny, fatty, glistening year of new experiences, learning, laughter and surprises. Can I ask you to post my blog among the “Bloggers”? Hope I’m not too late! How can non-bloggers who are over-programmed but enthusiastic become Charcutepaloozers? Sign me up if I don’t need a blog address! You can participate however you choose – blog if you wish, or find us on Flickr, Twitter and Facebook, how ever you want to be involved. It’s all good with us. You do not have to have a blog to officially participate. If you want to receive the discount codes from D’Artagnan, just send me your email address via the contact form on this blog. Great coverage, well deserved! Congrats on pulling together this meaningfully meaty meeting-place! Wonderful idea! t’s the first of February…Am I too late to participate? Today’s the last day! You’re on the list!